Sacramento’s last Old West Saloon books parties of all kinds. 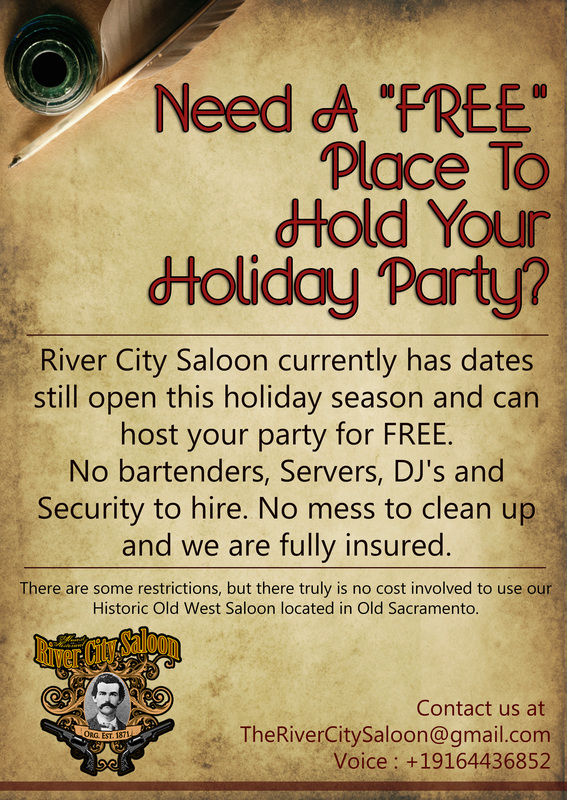 River City Saloon still has dates open for holiday parties in Sacramento. We do not charge you anything to have your party at our Old West Saloon. We are almost booked up for this years holidays. So if need a place to hold your holiday event in Sacramento and your boss wants to have a great time, look no further. We can accommodate up to 150 people and supply the staff, food if needed, entertainment, insurance and what even better you have no clean up after the event. Email us today to see if we have any dates open.